On January 19th Manny Pacquiao and Adrien Broner will box on Showtime pay per view for their WBA welterweight title bout at the MGM Grand in Las Vegas next week. Coming into the fight in recent months promoters on rival networks, specifically Eddie Hearn and Oscar De La Hoya on streaming platform DAZN — have both been vocal on their belief that pay per view boxing in America is now finished. This belief by the two was spurred on by the recent signing of the biggest pay per view star in US boxing Canelo Alvarez to a subscription platform in DAZN where he inked a $365 million deal over eleven fights to now have his fights taken off of pay per view in the US moving forward. 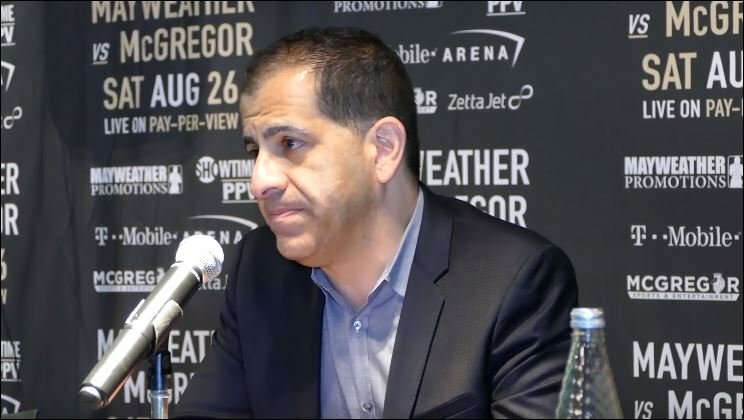 Speaking on the Manny Pacquiao vs Adrien Broner international media conference call I wanted to get Stephen Espinoza’s thoughts on these claims as well as the future of pay per view in the US. Pacquiao vs Broner will be live on Showtime pay per view in the US on January 19th and live on free to air television on ITV 4 in the UK.